Tamdhu 10 Year old was relaunched in May of this year, and on the day that I visited the distillery for the relaunch I also happened to open a bottle of Benriach 15 Year Old Pedro Ximinez Finish. Tamdhu was, until 2011, owned by Edrington Group, who rather neglected it. Given that they also own Highland Park and Macallan, this is understandable. What makes less sense is this: when new owners Ian Macleod Distillers were assessing their purchase, they found a decade's worth of Tamdhu filled into high quality sherry casks. Why did Edrington chose to make expensive malt whisky and then not really bother to try and sell it? barrels are costing £750 each these days), so that Tamdhu could be relaunched as a premium brand. The new bottle design certainly stands out, but what of the liquid? Well, it's pretty tasty. 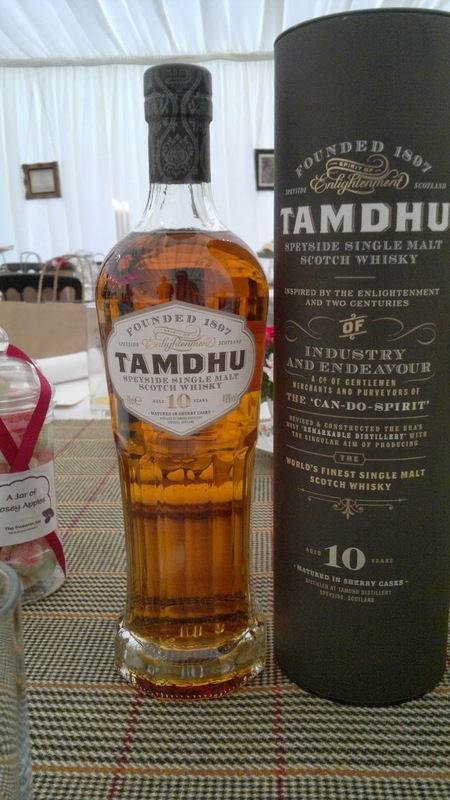 Tamdhu new make spirit is fruity, light, and smooth, and takes very well to active sherry casks. The sherry casks give a dryness which nicely balances the naturally sweet spirit, and adds complexity. Good Stuff. The Benriach is more heavily sherried, but in a different style. The use of Pedro Ximinez casks gives a much sweeter edge to the whisky, although this is well balanced by a vinous tang which keeps the sweetness from being cloying. One gets the impression that the sherry casks here were all first fill, something which clearly isn't the case with the Tamdhu. One also gets the impression of a lack of integration; finishing rather than maturing the whisky. Despite that, it's still Very Good Indeed. Sherry casks are something of a tender topic for Scotch distillers these days, and whiskies such as these two are definitely in the minority. Which leads me to conclude: if you like the sound of these; if you like sherried whiskies generally - then drink more sherry!